This Mao Feng Tea is beautiful to behold, and nice to drink with lingering charming taste and orchid like aroma. Carefully picked and processed from wild tea grown ecologically high in the mountains, this is a sweet tea free of bitterness. HuangShan MaoFeng , like our Long Jing green tea, consistently is regarded as one of China's top ten teas. There is an old Chinese proverb that says “Famous mountains produce famous tea,” which is certainly true of TeaVivre's HuangShan MaoFeng. Its name translates literally to “Yellow Mountain's mountain peak shaped, fur covered tea,” because of the shape of the leaves. This tea is grown and produced on the forested mountaintops using traditional methods. Dailin Tea Garden is located in Da Guyun village in Huang Shan. Da Guyun originally got its name from the surrounding mountains and valleys. The tea garden lies in remote parts of the high mountains, where the air is clean, the climate is moist and the four seasons are distinct. The only crops grown by farmers in this area are tea and chrysanthemums. Hillsides covered in wild tea. 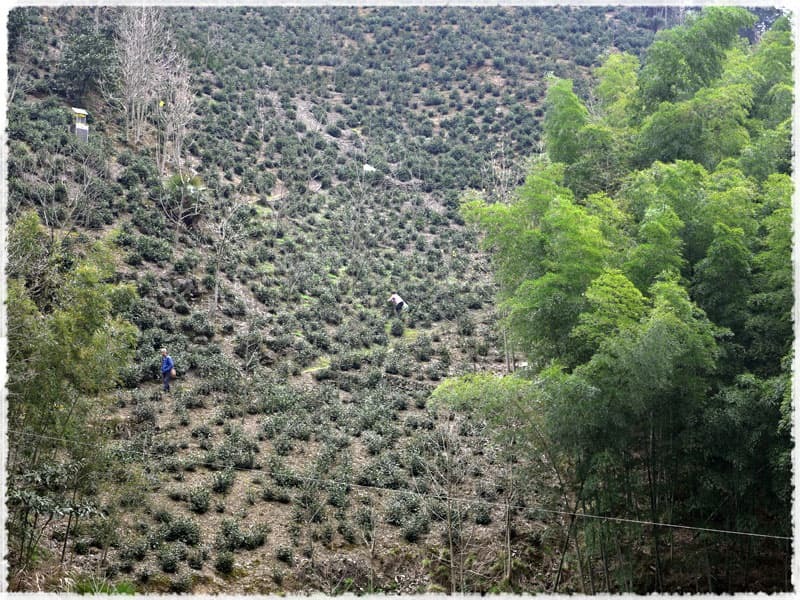 Tea farmers brave the steep slope of the hill to pick tea. It’s an extremely difficult task. 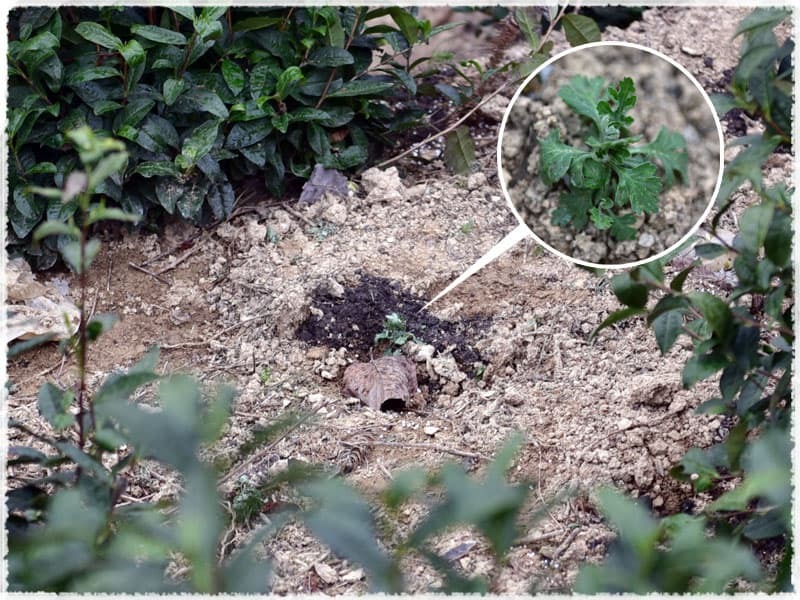 Chrysanthemum seedling grows among tea trees. Farmers in this area only grow tea and chrysanthemums. Mr Ke, who was born and grown up in the tea village, has been in tea industry for more than 40 years. He started off early in his childhood, following his parents as they harvested tea. From then on, he aspired to become an excellent tea maker. 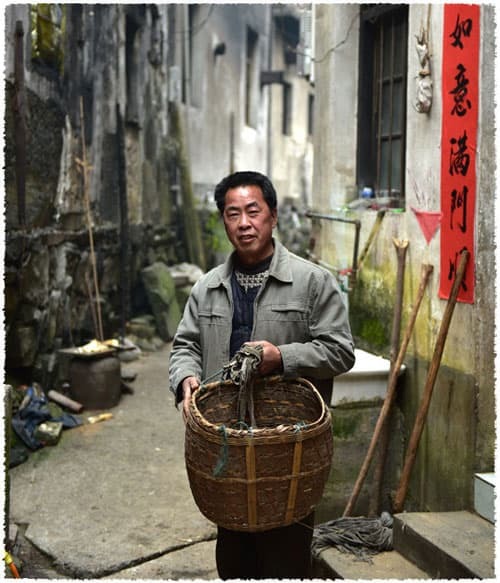 He started to learn the art of tea-making when he was 15, and quickly mastered the traditional skill of making Huang Shan Mao Feng tea. “I will devote my whole life to tea and the innocent tea village” said Mr. Ke. At Dailing Tea Garden, Angel and Chris met tea farmer Ms. Liu who demonstrated methods for picking the tea. 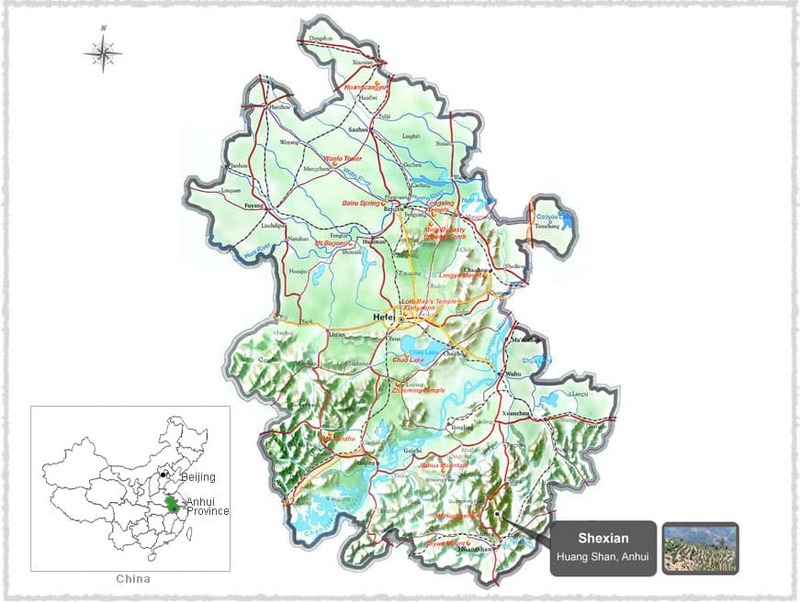 Shexian County (歙县), also known as She County, is a famous historic and cultural city in the south of Anhui Province. 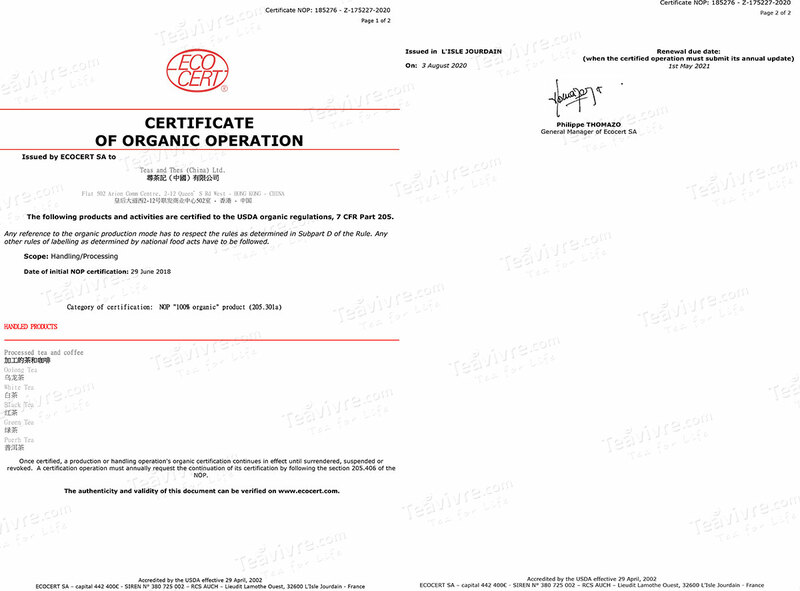 It is geographically located at 118°15′E to 118°53′E, 29°30′N to 30°7′N. The county is a part of Huangshan City and covers an area of 2122 square kilometers. These fresh tea leaves come from tea trees of Huangshan’s large-leaf species, which were originally distributed in Huang Shan. Its characteristics include early sprouting, dense sprouting, strong buds, and abundant fuzz. This species puts forth many buds in the spring and has strong resistance to severe cold in the wintertime. 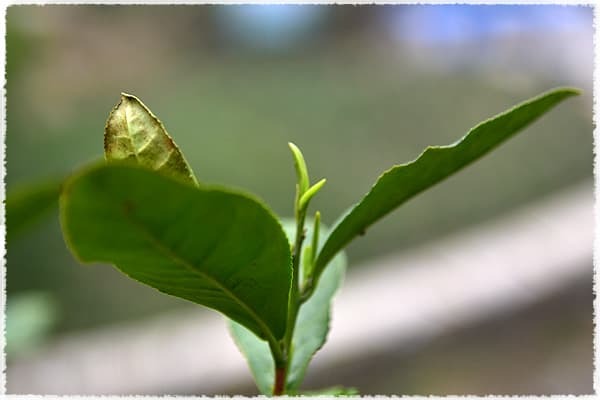 A sample of one bud with two leaves of spring tea from this species contains about 5.2% amino acid, 24.50% tea polyphenols, 138.04mg/g of catechin and 44.03% aqueous extract. Since this tea should ideally be grown in the high mountains, with cool and cloudy weather, the area around Mt. HuangShan in Anhui has been used to cultivate high quality tea for centuries. 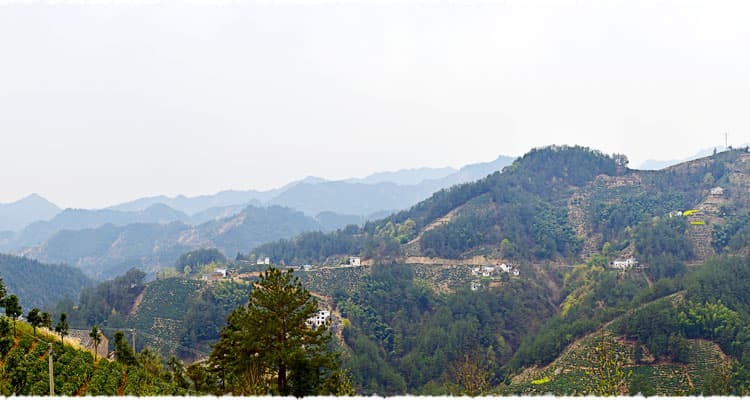 Modern HuangShan MaoFeng tea, however, traces its roots back to the late 1800's when a merchant called Xie Zheng An, who fled the war at the time, decided to setup a family tea business at HuangShan Mountain. Named after where it was produced - HuangShan mountain, and its appearance - looking like a fur covered mountain peak, the tea his family produced quickly became very popular in China due to its excellent quality, great taste and enticing aroma.